BLOOMINGTON, Ind. – Celebrating its 70th year, Indiana University Opera Theater, at the Jacobs School of Music, will open its 2018-19 season with the collegiate premiere of “The Revolution of Steve Jobs” at 7:30 p.m. next Friday, with additional performances Sept. 15, 21 and 22. The Sept. 14 and 15 performances will be video-streamed live via IUMusicLive! Known as a devout Buddhist with a violent temper, a master of communication who could barely keep a personal connection and an adoptee who refused to acknowledge his own daughter, Jobs captured the imagination of the world when he changed the future of communication forever. The opera by composer Mason Bates and librettist Mark Campbell, a Jacobs School of Music coproduction with the Santa Fe Opera, Seattle Opera and San Francisco Opera, sprang to life in July 2017 in Santa Fe. Several members of the artistic team from that world-premiere production are also helming the collegiate premiere by IU Opera: conductor Michael Christie, director Kevin Newbury and set designer Vita Tzykun. “It’s fun to come back to it a year later and see it with fresh eyes and reinvestigate it,” said Newbury. “I’ve been pleasantly surprised at how much having a younger cast has revealed new things in the piece, and seeing the energy of two twenty-somethings playing Steve Jobs is really revelatory, actually, because the piece traverses time and space. You can imagine Jobs looking back on his life and deciding what memories he wants to take with him. Does he remember Woz when he was 50, or does he remember him when he was 20? These kinds of operas just seem so odd and out of place. I guess, like many organizations in music — opera companies, and symphony orchestra primarily — are attempting to garner a new and younger audience that reflects more of what is happening in their own time. I doubt that too many gray-haired opera-goers will be enticed to take this one on, regardless of the opera companies presenting the work. I do admire their tenacity in presenting such an opera. Maybe, maybe not, but I think I'll listen to it before I make up my mind. Here's a NYT Review by Zachary Woolfe, who found precious little to admire about the opera but at least saw and heard it first. SANTA FE, N.M. — The products he created are some of the most innovative and important of our time. But if Steve Jobs the man is interesting, it’s because he was such a jerk. He’s frustrating fodder for that eternal question: How could someone with such elegant, sensitive visions be so unremittingly willful, tyrannical, unfeeling, ungiving? Why, in other words, aren’t good artists always good people? It’s because, of course, they’re human. 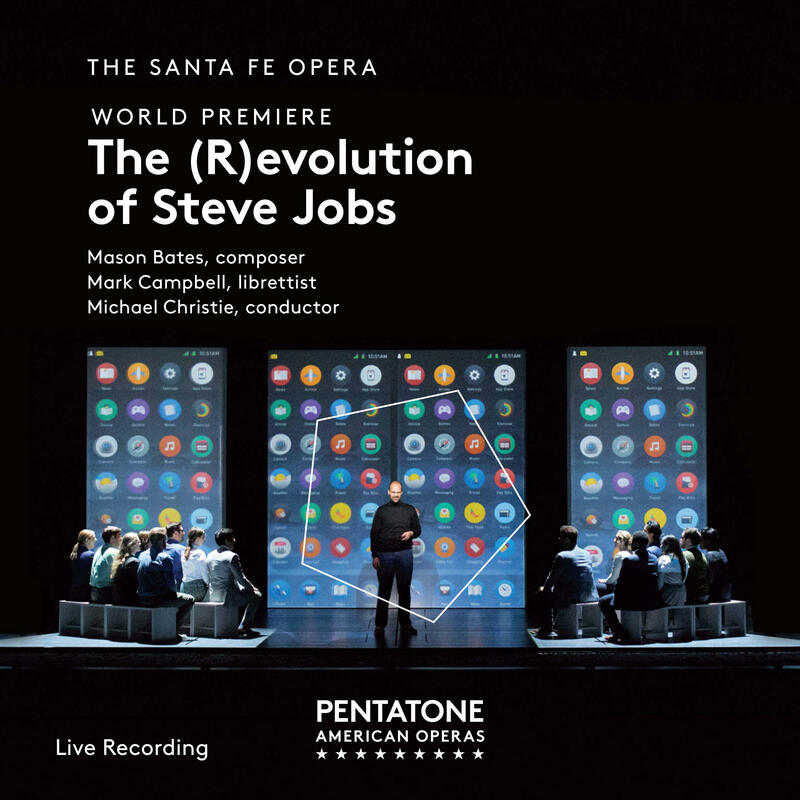 That’s what the much-in-demand composer Mason Bates and the librettist Mark Campbell don’t seem to have understood in writing “The (R)evolution of Steve Jobs,” a trudging new opera about the maestro of Apple that had its premiere at the Santa Fe Opera on Saturday and will travel to San Francisco and Seattle in coming seasons. Mr. Bates and Mr. Campbell have replaced a truly human, if essentially undramatic, story — of a man who by most accounts was consistently charismatically intolerable from his birth in 1955 until his death in 2011 — with a sappier, staler arc: A good guy loses his way and then finds it, redeemed by the love of a saintly woman. The opera’s Jobs starts off a sweet, nerdily modest inventor and an ardent boyfriend before veering into darkness. He encourages his lover to have an abortion and, when she refuses, denies he’s the child’s father; jealously guards control of the company he founds; spurns his friends and ignores his family; and denies the existence of the cancer that’s killing him. This nastiness all really happened, as anyone who’s read Walter Isaacson’s sprawling biography or seen Danny Boyle’s tense film (both titled, with blessed simplicity, “Steve Jobs”) will know. The 90-minute opera’s fiction, which rings false, is that Jobs started and ended a different person than he was in the middle. Written in a single, 20-scene act, Mr. Campbell’s libretto — in which Apple, which didn’t authorize the opera, is never mentioned by name — suggests that the unpleasant shift in his character was a result of Jobs’s desire to “control all those mad and messy moments” of his life. He’s forgotten, in other words, the Zen Buddhist teachings he embraced as a young man. Once he remembers, spurred by his spiritual adviser, Kobun Chino Otogawa, and his wife, Laurene Powell Jobs, he embraces change, connection, death — the whole mess. At the end of the opera, Laurene proposes, amusingly if preposterously, that this beneficent “Version 2.0 of Steve” would say of his beloved phones, “Please buy them, but don’t spend your life on them.” The opera is fatally caught between its desires to diligently check off biographical boxes and to shape that biography, contrary to fact, into the happy-ending shape of a meet-cute romance. 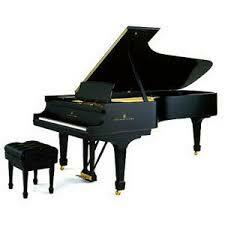 For this Silicon Valley story, Mr. Bates’s tech-friendly music must have seemed the perfect fit. Over the past decade, he has earned prestigious appointments — residencies at the Chicago Symphony Orchestra and the Kennedy Center for the Performing Arts, a close association with the San Francisco Symphony — on the strength of blandly affable forced marriages of rave-style electronic beats and Bernstein-style orchestral lushness. On occasion he even spins records as, sigh, D.J. Masonic. There’s a hint of the score he might have made at the very start of “The (R)evolution of Steve Jobs”: a mysterious, ominous passage of clicks, beeps and sighs, an electronic world yearning to become flesh and blood. But Mr. Bates soon begins to rely on alternating modes of dogged propulsion and layer-cake grandiosity. As Jobs doubles over with illness after a product launch, the music, conducted by Michael Christie, grinds to a halt — relying, in a bizarrely clichéd move, on a sound evoking the stock effect of an alien spaceship powering down its engines. Mr. Bates more or less has a single way of handling the climaxes of interpersonal confrontations: big, thwacking chords, separated by yawning silences. Interludes between many of the scenes often feel pointless, their dramatic function vague — Jobs wanders around, looking confused — and their musical content mostly vamping. The vocal writing is emphatic lyricism, aimed squarely at the back row. When the score does relax, it’s usually in the scenes between Jobs and Kobun (the friendly, mellow-toned bass Wei Wu), his wisecracking mentor. Their interactions have a welcome quiet intimacy, if also a wan mood of Japanese pastiche — coppery prayer bowls and touches of gong — that Mr. Bates has tried before in works like “Mothership” (2011). The director Kevin Newbury has created something of a miniature version of the Metropolitan Opera’s 2013 staging of Nico Muhly’s “Two Boys,” which also depended on video projected onto a colony of shifting, stubby towers. The “(R)evolution” production is stranded, as “Two Boys” was, between stylized fantasy and stodgy realism. (Do we really need all those Reed College seals in a brief scene set there?) There’s little here of the stylish simplicity that was Jobs’s trademark. Watch Michael Fassbender’s tightly coiled performance in the title role of the Boyle film for evidence of the man that an Apple executive once described as “a boxer, aggressive and elusively graceful, or like an elegant jungle cat ready to spring at its prey.” There’s nothing graceful or seductive about the opera’s blustery, earnest Jobs (here the underpowered, ineffectual baritone Edward Parks): You can’t imagine this guy ever making anyone do anything. As always, the mezzo-soprano Sasha Cooke is a beating heart onstage, a warm and sympathetic presence as Laurene. And as always, the Santa Fe Opera’s chorus, led since 2008 by Susanne Sheston, is superb as a changeable array of employees, journalists and Buddhist adherents. Mr. Campbell writes in a program note that Charles MacKay, Santa Fe Opera’s general director, had just one instruction: “Make sure the audience thinks twice before they reach for their phones after the performance.” It’s a sign of the opera’s failure, then, that after the final orchestral swell I took my battered iPhone 6 out of my pocket without much thought at all — living very much in the world Jobs created but already forgetting this limp telling of his story.